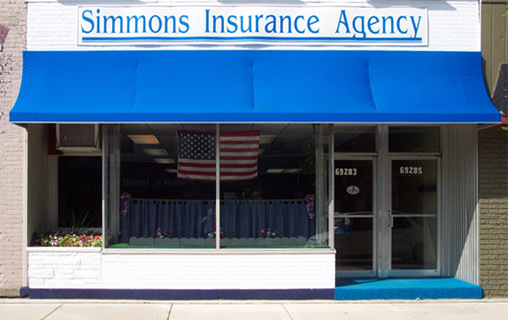 The Simmons Insurance Agency, formerly known as the Penwarden-Simmons Agency, a fixture in the heart of Richmond since being founded in 1933, specializes in Personal and Small Business Insurance. We are a family owned insurance agency here to provide honest and personal service to our clients in Michigan's Northern Macomb and St. Clair Counties. Thank you for visiting us online. Please browse our site to find more information about our agency, its agents and staff, the companies we represent, and the coverages we offer. You can contact an agent at (586) 727-5555, or visit us in person Monday-Friday from 8:30 A.M to 4:30 P.M.
Feel free to contact us via phone, fax, or email. We look forward to serving your insurance needs.